The club are delighted to announce further details of the Derry City 2018 away kit which will go on sale this weekend and will be available online from early next week. 2018 marks a new departure as this is the first time that the club have worn a green shirt. The classic pinstripe design is from a latest release by adidas and City will be amongst the first clubs in European football to sport this shirt in top flight competition. The DCFC Merchandise Group have worked hard to ensure the kit was delivered for sale prior to Christmas and ties to the exciting recent announcement regarding new additions to the club playing staff. Coupled with strong early sales of 2018 season tickets, it has been a positive few weeks for the club. The shirt will go on sale this weekend, where it will be on sale from club’s pop-up store in the Emporium Market. The city centre presence opened last week and enjoyed strong sales and very positive reaction from City fans, with a full range of merchandise on offer. A range of items, to suit those from 6 months up and priced at £2 and upwards are available. The pop up is open Thursday to Sunday and outside of these days merchandise will be available from the club office in Rathmore Centre. This release is the first in partnership with House of Sport, the club’s teamwear supplier and the e-commerce partner. 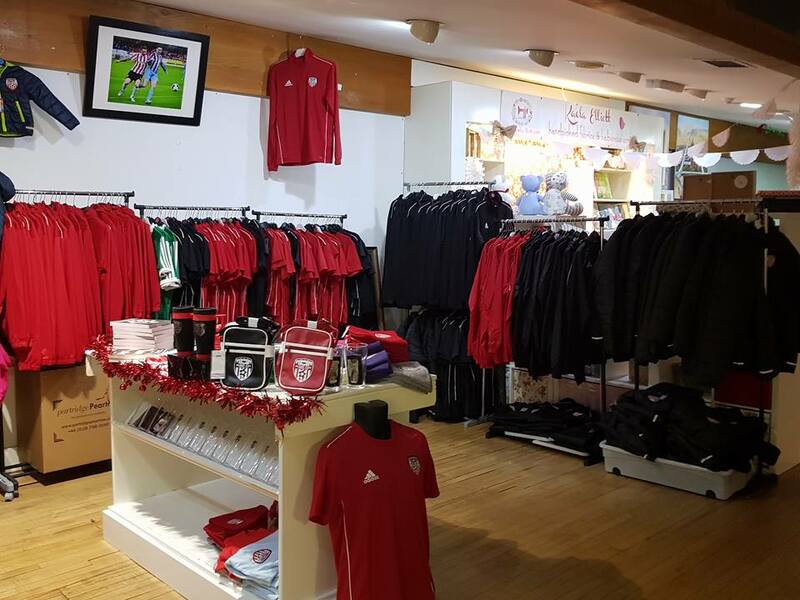 House of Sport will be managing the online sale of items of behalf of Derry City, and the online store will launch on Monday 11th December.